How long until I can drive on the surface after paving? We recommend a minimum of 3 days after paving; however, special care should be taken for the first year, which is the curing period for asphalt. When turning, especially on hot days, ensure to have the vehicle in motion. How long until I should have my driveway or parking lot seal coated? Seal coating is definitely a maintenance item for the longevity of your driveway. We recommend that you wait around 4 to 5 years before sealing. 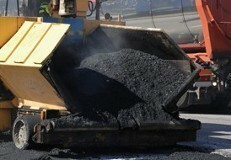 Asphalt is a porous material and needs to breathe. Do not seal yearly as this will choke it and deteriorate your driveway or parking lot. Do I need to place dirt or stone along the edges of asphalt? Yes, you must back edges of asphalt with topsoil or stone as this reinforces the edges so they cannot push or break. Contact Lebanon Valley Asphalt in Grantville, Pennsylvania, to learn more about our local paving and excavating company. Backed by more than 30 years of experience and founded on the principle of customer satisfaction, we provide professional, prompt, and courteous residential and commercial paving and excavating, and we stand behind every job we complete. Count on us when quality counts, and put our experience to work for you. Copyright ©2019 Lebanon Valley Asphalt Inc. All Rights Reserved.